This is a special one year anniversary episode. 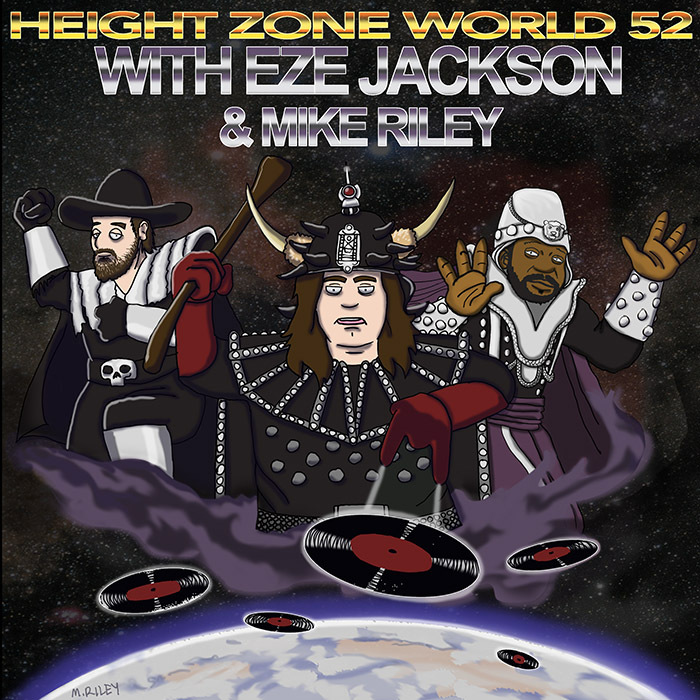 I’m joined by Mike Riley, (the visual arm of Height Zone World) and Eze Jackson. (Eze was our first guest ever.) We reflect on what’s gone down in our world in the last 365. Mike and I discuss the experience of doing this podcast for 52 weeks straight. We each picked out four songs to play from guests who were interviewed on the show this year. Mike Riley’s art this week is an homage to Afrika Bambaataa and Soul Sonic Force’s Planet Rock. This episode is hosted by splicetoday.com. Posted on July 27, 2015 by height keech	Bookmark the permalink.